8th “Caring for the Caregiver” Conference and Resource Fair, held in May. 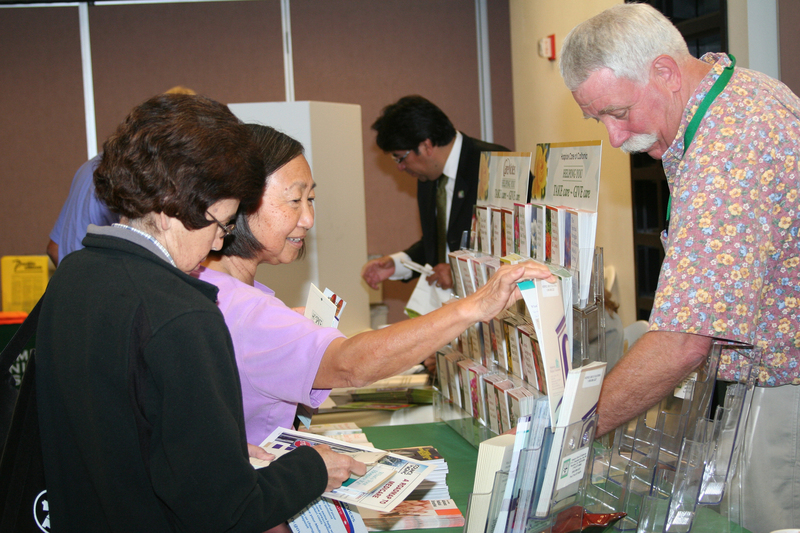 Aug. 15—The Institute for Healthy Aging at Keiro and Southeast Japanese School and Community Center will present the 9th “Caring for the Caregiver” Conference and Resource Fair, to be held at Southeast Japanese School and Community Center, 14615 S. Gridley Road, Norwalk. Sponsored by Keiro Senior HealthCare with partial funding from the Takayama Foundation and California Community Foundation, the conference will include a resource fair, presentations on important caregiving topics, complimentary attorney and pharmacy consultations by appointment, and lunch. Caregiving presentations will include “In-Home Care” by Dianne Kujubu Belli, chief administrative officer of Keiro Senior HealthCare; “How to Pay for Long-Term Care” by Janet R. Morris, long-term caregiver project director at Bet Tzedek Legal Services; and “Legal Aspects Related to Caregiving” by Paul J. Fukushima. “Now, I feel so much more empowered and less fearful of helping to take care of my mother-in-law in the future,” said Arlene Tsutsui, who attended the 8th “Caring for the Caregiver” Conference and Resource Fair held in May. Registration starts at 8:00 a.m., and the program runs from 8:30 a.m. to 2 p.m. To RSVP, please visit www.keiro.org/caregiverconference, e-mail [email protected], or call Judy Shiroma at (323) 980-2352.